In Europe and much of the rest of the English-speaking world terms like Green Care, Farm Care and Farming for Health are well known and repre-sent a growing movement. That movement involves farmers and the health-care community working together to create an environment in which the care and nurturing of plants and animals is an important aspect of therapy for disadvantaged individuals. A key element of this movement is that this therapy takes place in the context of a profitable agricultural business (the farm). This transcends therapy using outdoor experiences that provide na-ture opportunities without the personal responsibility of caring for nature. This issue of The Natural Farmer focuses on the ways that working with plants and animals helps people — prisoners, autistic children, the mentally disturbed, the emotionally abused, anyone with a troubled soul — to heal. That such healing happens sometimes on farms has been well known for centuries. It is validated these days by many studies and PhD programs, and I believe many farmers have experienced it as well. We have certainly felt it on our own farm. For years now Julie and I have been hiring young men (and at least once a young woman) who have been in trouble with the law — mostly for drug-related offences. Their status as ex-prisoners made it hard for them to find jobs (discrimination, revocation of drivers licenses, lack of vehicles to get to work, required absences for drug testing, probation meetings, etc.) But once hired some of them stayed for several years and became not only excellent employees, but trusted friends. These are people who have been through hard times – broken families, unhappy relationships, truncated schooling, loss or betrayal by friends, jailhouse withdrawal. They have been thrown back onto themselves, I dare say, harder than most of us have ever experienced. Yet a few days of planting seeds and caring for new life, feeding baby animals and moving cows to new grass, somehow touches that loneliness and can point the way to wholeness. And where better to attend that feast than on an organic farm? Yes, it is therapeutic for at least certain people to farm. It has become crystal clear to me, as one of those “earth types” (according to five element acupuncture system), that farming is how I regain balance, feed my soul and my psyche, get my exercise, my vitamin D, build and enhance my human, plant and animal relationships, and get that bonus of feeding the bodies of me, my family, our staff, and all of our customers. I knew at a very young age that being in the soil was what “fed” me like nothing else. My fondest and most centered memories go back to spending long summer days with my brother Tom and my sister Sue at our creek on our farm in Illinois, playing in the mud. It is interesting that today the three of us are still avid farmers or gardeners, and still get this immense pleasure from working in the soil. 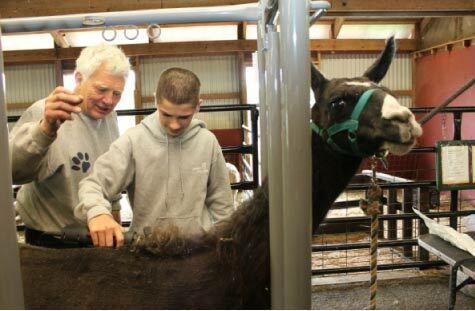 Occupational therapy on a farm, with real jobs that must be done regularly to maintain the land and the animals, improves sensory integration, self-awareness, and relationships with others. 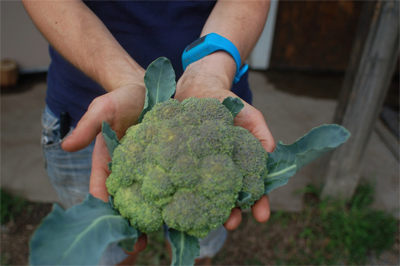 Farms, like children, involve growth, nurturing, hard work – and down-to-earth fun! The connectedness inherent in this way of life can promote healthy change at all levels for children with developmental delays. I know this may be a difficult concept to grasp if the potato beetles have completely overrun your crop this year, but I think the goal of most therapy is to inspire hope. If farming does indeed provide this hope, why not try to foster its growth within an agricultural environment? Enter Horticultural Therapy. In the center of Vermont, high in the mountains just a few miles north of the tip of the Green Mountain National Forest, sits a beautiful spring-fed lake. It is not reachable by road and has thus remained rustic and primitive, even by Vermont standards. It does, however, sit right along the Appalachian Trail. So it was that Wayne and Elizabeth Sarka discovered it. Wayne was from a large Vermont family and had worked during and after World War One with shell-shocked soldiers. Elizabeth was from a prominent Manhattan family and had experience with charitable and non-profit work. 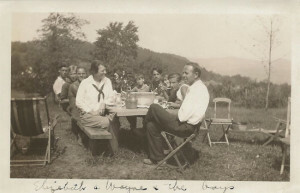 They married in the late 1920s and honeymooned by hiking the Long Trail in Vermont. Johnny Cash sang these lyrics to a live crowd behind walls at San Quentin Prison in 1962. The roar of approval from the crowd of inmates on that day needs little explanation. Life in this Northern California prison typified the inmate experience as an egregious stint in an unforgiving human warehouse—a system bent on punishment rather than any form of rehabilitation, and one, as stated by the former head of a Colorado prison, “lacking in any human decency or dignity.” For inmates paroled or released, the best they could expect was a marginalized role in society. As felons they had lost the opportunity to vote, serve on juries, or acquire government employment; the stigma and trauma of time served would follow them for life. Most inmates left prison harder, angrier, and less willing or able to assimilate in society. “What is served by the failure of the prison?” asked Michel Foucault in 1979 (Discipline and Punish: The Birth of the Prison, page 272, Knopf Doubleday, New York, 1979). This is my brother in the barn, how he always was. November 10, 2006 was a beautiful fall day. I had finished my afternoon chores early so I hung Christmas lights on my house. I was set to move in the next day. All summer my family and I had been renovating the house that had been my Grandpa Dewey’s, and were proud of the work we had accomplished. Especially my brother Tom. 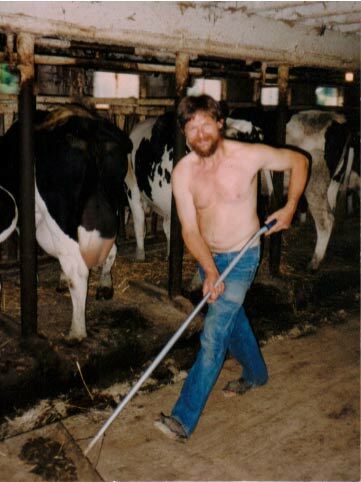 We had both taken over the family dairy farm from my dad and uncle. It’s been in the family since 1817. He had just finished delivering a load of green chop for my cows and we were getting ready to go up to our mom’s for supper. On the way we stopped to let his cows across the road.